It’s a horrible feeling when your phone is locked behind a passcode you just can’t remember. (The lock code will also reset, which means you shouldn’t have problems in the future.) 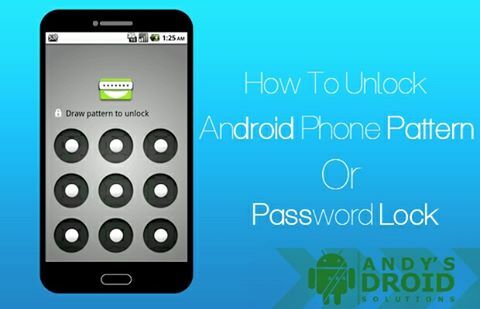 Make sure to set a new lock code as soon as possible to keep your device secure. If your Google account information isn’t working, you can try one of the other methods on this list, or there are numerous ways to recover your Google account information using your PC. You can go directly toGoogle’s account recovery page, and follow the steps to reset via the associated email address. Note: The ADB method will only work if you’ve previously installed the Android Device Bridge (ADB) to your device. If you’re not sure, it’s very unlikely this method will help you. The ADB is used to create a bridge between your PC and your Android device. This bridge can be used to unlock the device and to access your files. Since this method will only work if you have ADB enabled, it’s not going to be helpful for most users. Download the Android SDK package on your PC. Make sure to download the correct version for your PC. Once downloaded, extract the zip file on your PC. Download the relevant USB drivers for your phone. You can get the USB drivers for your device from your manufacturer’s website. Launch the Command Prompt on your PC and change the directory to where the ADB file is located. Type in the following command in Command Prompt. Connect your Android phone to your PC using a micro USB cable and enter the following command. If your phone is recognized, you’ll see some numbers in the Command Prompt message. Type in the following two commands. You’ll need to type in the second command immediately after the first one. Replace 1234 in the first command with your actual password. If the process is successful, your phone should be unlocked. You can now backup your important files and contacts. Connect your device to your computer using a micro USB cable.Find your phone and open the main folder with your PC.Your pictures should be located in the folder named DCIM.Copy the folder to your computer to save the files.Repeat the process for any other folders you would like to save. If you can’t find the correct combo, it should be easy to find the information online. It’s usuallyPower, Volume down and Camera for most Android devices. If you’ve reset your passcode, make sure to set up another as soon as possible to avoid any further problems. It might be a pain at times, but if your phone is lost or stolen at least your personal information will be safe. 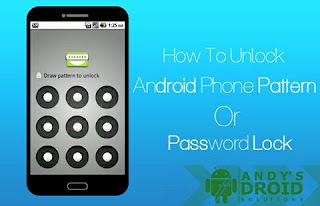 If we’ve missed an easy way to unlock an Android phone, or you have questions about one of the methods on this list, let us know in the comments below.